Omaxe The Forest Spa is located in sector 93B in Noida Expressway offers a rich environment. Complete with gorgeous apartments, nestled in the 325 acres of land in Noida. Mumbai - Pune Expressway, Pune. Lodha Codename Albatross is located within 10 minutes drive from both Hinjewadi and Chakan, Pune and with a good connectivity to the Mumbai - Pune Expressway. 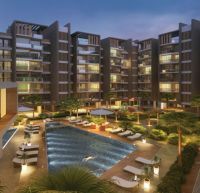 Lodha Codename Albatross offers a choice of Golf Suite, 2 Bedroom, 3 Bedroom Apartments in Pune. Lodha Grande is located in Balkum, Thane. Lodha Grande is build on a pristine backdrop, surrounded by nature at its most beautiful spectacular views. Lodha Grande is just 2 minutes drive Off. The Eastern Express Highway, near Majiwade, Balkum, Thane. Lodha Grande offers a choice of 2 Bedroom Apartments in Thane. Yeoor Hills Forest and the Ulhas River offers a good weekend gateway destination in Thane. Lodha Aqua is located on the Western Express Highway. 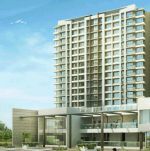 offers excellent connectivity and quick access to Dahisar city's major landmarks Lodha Aqua is about 3 kms drive from Dahisar and Mira Road railway stations. Lodha Aqua offers a choice of 2 BHK, 3 BHK and 4 BHK + duplex garden bungalow residences in Mumbai. 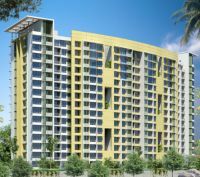 Lodha Casa is located at the junction of Navi Mumbai and Dombivali. Lodha Casa is build on a 117 acres of land in Palava, Mumbai. Palava, is perfectly situated to be a major business hub. 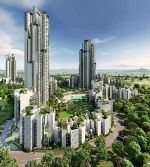 Kalpataru Aura is located in Ghatkopar (West), Mumbai and offers a choice of Luxurious 2 & 2.5 BHK Apartment in Mumbai. 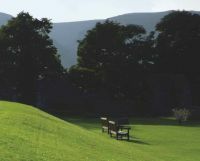 DLF The Valley is located in Panchkula. 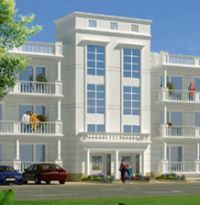 Unitech Gardens is located in Mohali. DLF The Ultima offers ultra-modern yet gracious luxury homes in Gurgaon. 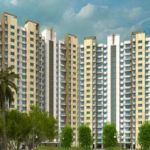 DLF Ultima is located in Sector-81 Gurgaon and offers a choice of 3 BHK, 4 BHK Apartments in Gurgaon. Ireo Victory Valley is build on a 25 acres of land in Gurgaon overlooking Aravali Mountains to the South. Ireo Victory Valley is located in Sector 67, Gurgaon and offers a choice of 3 BHK / 4 BHK Flats. Newry Serenity is located in 3rd Canal Cross Street, Gandhi Nagar, Adayar. Newry Serenity offers a choice of 3 BHK Luxury Units. Sardar Patel Road is 1 km about drive from Newry Serenity. Sobha Lifestyle Legacy is elegantly built villas in Bangalore, against the backdrop of Nandi Hills. Situated just minutes from Bangalore International Airport and offfers a choice of 3 BHK, 4 BHK, 4 BHK with Swing Pool Viila in Bangalore. Omaxe city is build over 500 acres of land in Jaipur and is is located on the Jaipur-Ajmer Express highway. Omaxe City offers executive homes, plots in Jaipur of various sizes. Manglam's The Grand Residency is constructed over an area of 14300 sq yard land in Jaipur, and is located in Sirsi Road, Near Vaishali nagar, Jaipur. The Manglam's The Grand Residency Twonship comprises of 3 blocks and offers a choice of 2 BHK, 3 BHK and 4 BHK flats in Jaipur. Manglam Residency, Udaipur, offers a unique living experience in Udaipur, located at New Navratan Complex just 5 km drive from Sukhadia Circle and offers a choice of 2 BHK and 3 BHK Flats in Udaipur. Brindavan Enclave is located at just 7km from the Bikaner city centre, along a scenic drive on the Jaipur - Bikaner Highway. A fully - equipped gated community, Brindavan Enclave comprises of various sizes of plots in Bikaner. DLF SamaTara are super luxury homes nestled in the serenity of Shimla and is an exclusive development of just 24 villas located at 6000 feet (approx.) above the sea level. Logix Group - Blossom County, is located in Sector 137 of NOIDA, offering 2, 3 & 4 bedroom apartments and penthouses. Blossom County is within 1 km distance from the FNG Expressway. Sun Optima is about 10 minutes drive from Bopal - Shilaj Road, near to Bopal Lake Ahemdabad. Sun Optima offers a choice of 2 BHK apartments in Ahemdabad and is a Ground + 5 Floor Building. 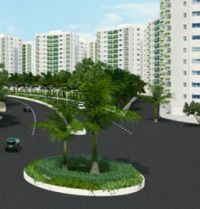 North Grande is a premium residential complex and is located just 1 minutes drive from Belghoria Express Way, 10 minutes away from Netaji Subhas Chandra Bose International Airport Kolkata and 5 km drive from Charnock Hospital & Research Centre and offers a choice of 2 BHK, 3 BHK, and 4 BHK Apartments in Kolkata. Godrej Garden City the first of its kind self-sufficient residential township in Ahmedabad and offers a choice of Apartments, Villas and Row Houses. Godrej Garden City is located just off SG Hihgway. Godrej Garden City is 14 km drive from Sardar Vallabhbhai Patel International Airport Ahmedabad. 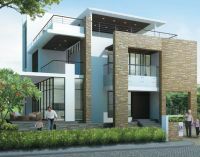 Prestige White Meadows is an exclusive community that offers exclusive ultra luxury villas Whitefield, Bangalore, situated on a gentle hillock in Whitefield, Bangalore. Prestige White Meadows comes in the areas ranging from 5576 Sq-ft. � 6219 Sq-ft. and comprises of 66 Independent Bungalows in Whitefield, Bangalore. 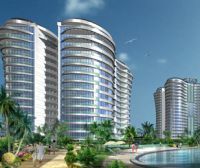 Puravankara Sky Condos Series is about 26km drive from Cochin International Airportlocated, 2 km drive from Kochi Info Park and is located in Kakkanad, Kochi. 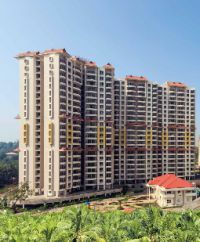 Puravankara Sky Condos Series offers a choice of 2 BHK and 3 BHK apartments in Kochi.